Mezco's award-winning design team journeyed deep into the unexplored depths of the Amazon jungle searching for fossils...instead they discovered The Creature! Mezco Toyz brings to life The Creature, from Universal's sci-fi, horror gem, The Creature From The Black Lagoon. 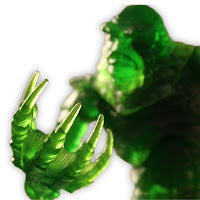 This Creature variant is cast in Translucent Green material. 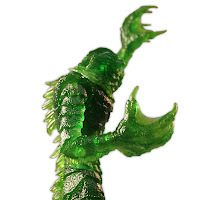 The iconic scaled terror from the deep stands 9" tall and captures the intricate detail of the pre-historic gill-man; from his mysterious amphibious eyes, to his claw tipped webbed hands. 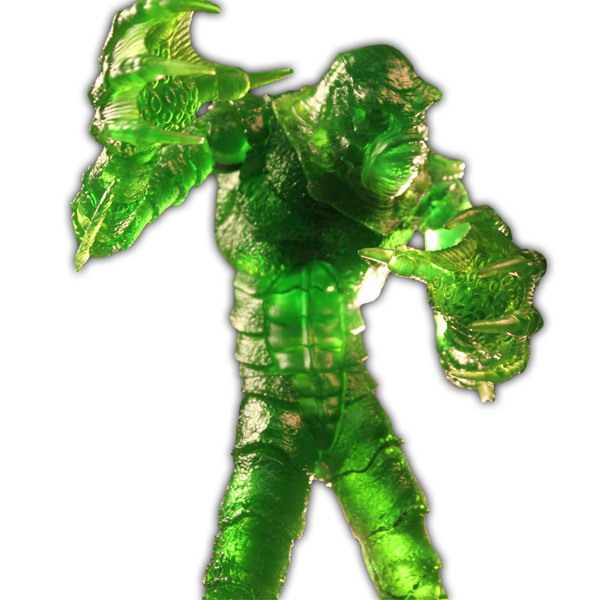 With 11 points of articulation he'll be able to take out any scientist who dares to come between him and his true love. The Creature is packaged in a full color, collector friendly window box perfect for display. 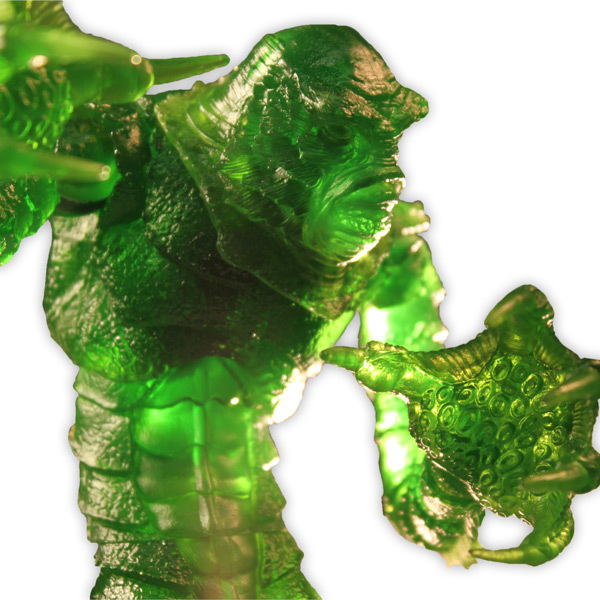 This Mezco Summer Exclusive is a Limited Edition of 100 pieces and is available online and at New York Comic Con, October 10-13.